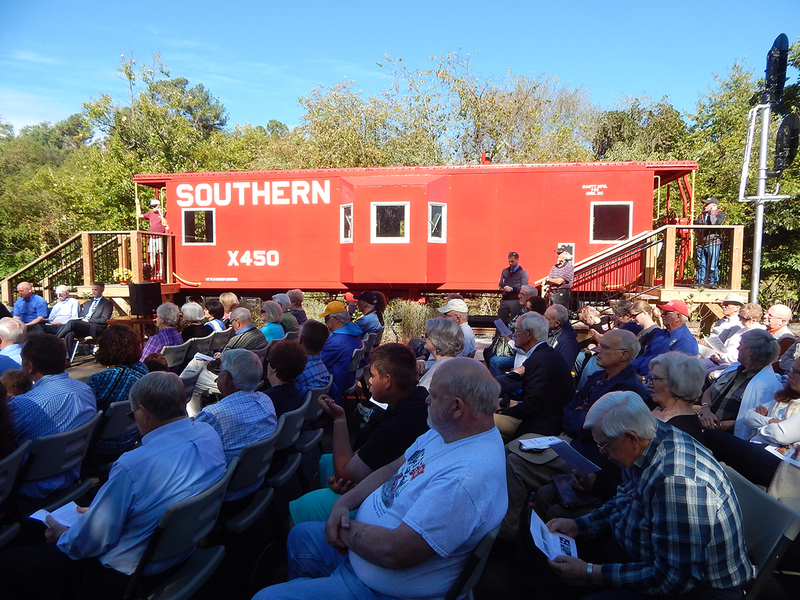 The Watauga Valley Railroad Historical Society & Museum (WVRHS&M), the town of Jonesborough, TN, and the Heritage Alliance have partnered to preserve the historic Chuckey, TN former SOUTHERN RAILWAY train depot. Although no longer in use, it was added to the National Registry of Historic Places in 1979 for its historic architectural significance. 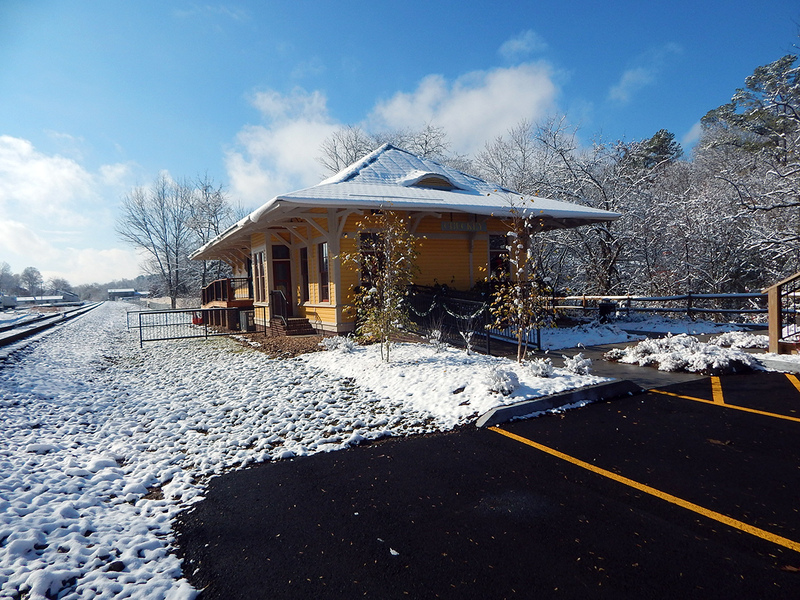 Built by SOUTHERN RAILWAY in 1906, the depot had been privately leased since 1959, but was situated on land owned by SOUTHERN successor NORFOLK SOUTHERN, who notified the building’s owners of its plans to demolish the historic structure, because the lease had expired. 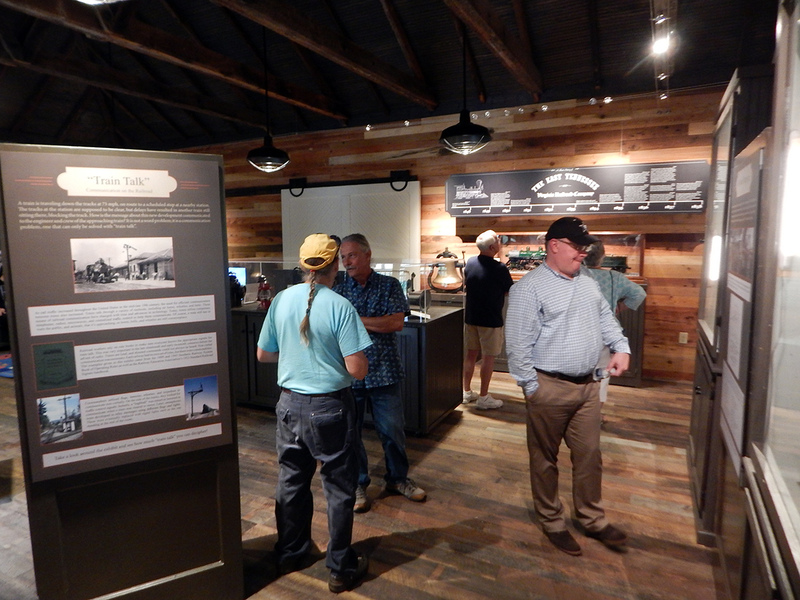 The owners of the building gifted it to the town of Jonesborough, and it was moved from Chuckey to Jonesborough. 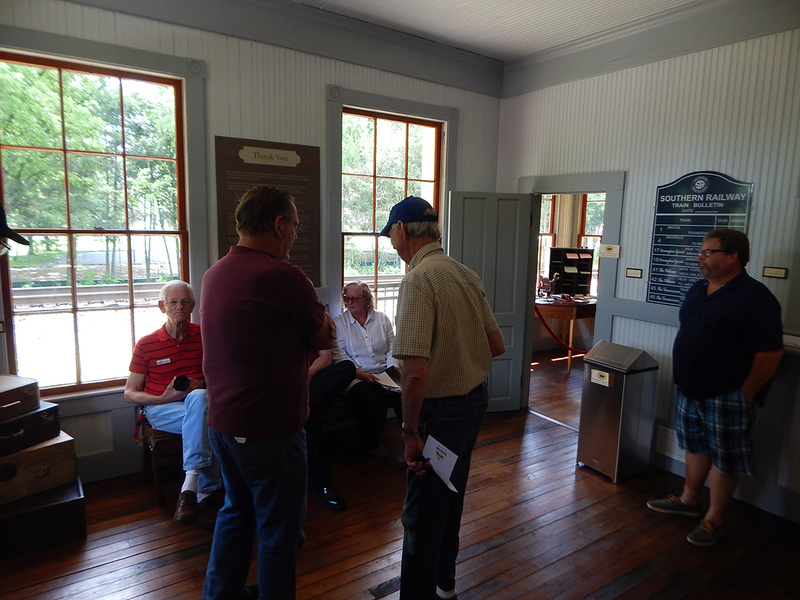 It has been restored to serve as a museum, which fits nicely into town development strategy as Jonesborough recognizes its railroad legacy. 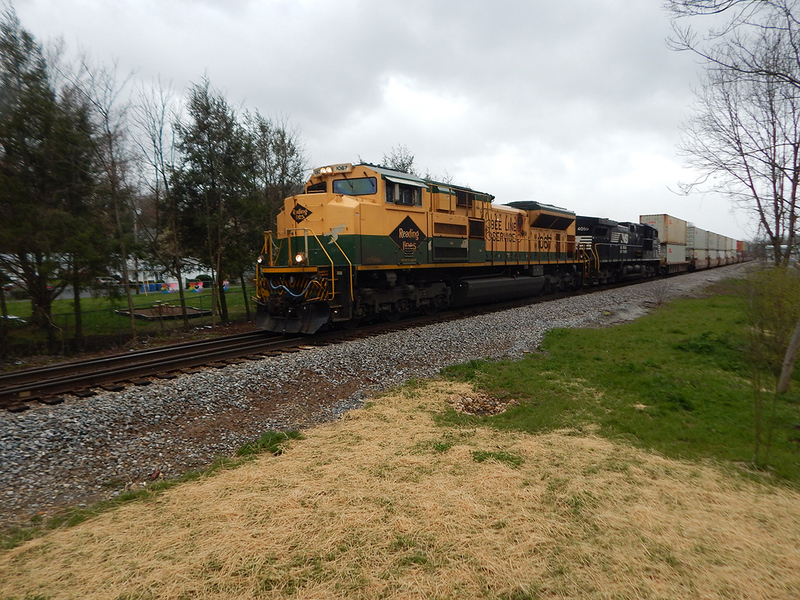 Although the railroad is still prominent in Jonesborough, the town's depot was razed in the 1970s. 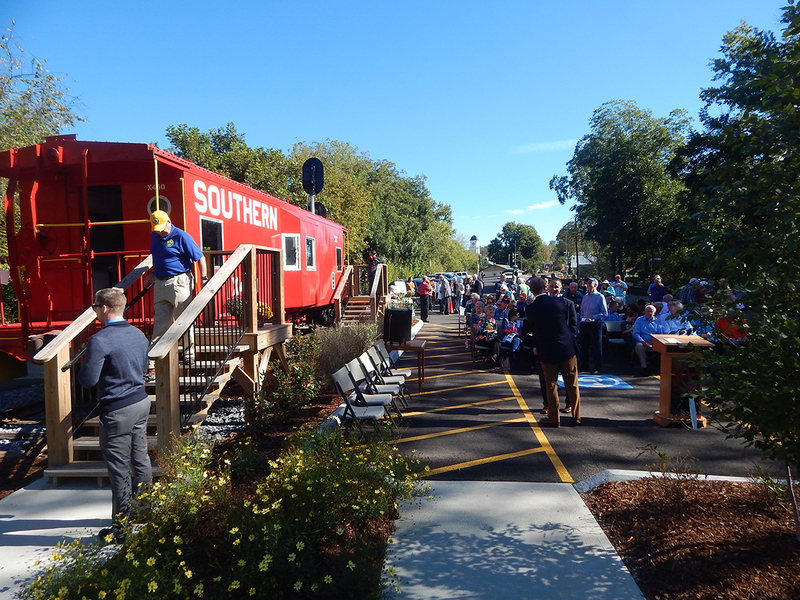 Partnering in this effort offers the town an opportunity to recognize and honor the role that railroading played in its history. 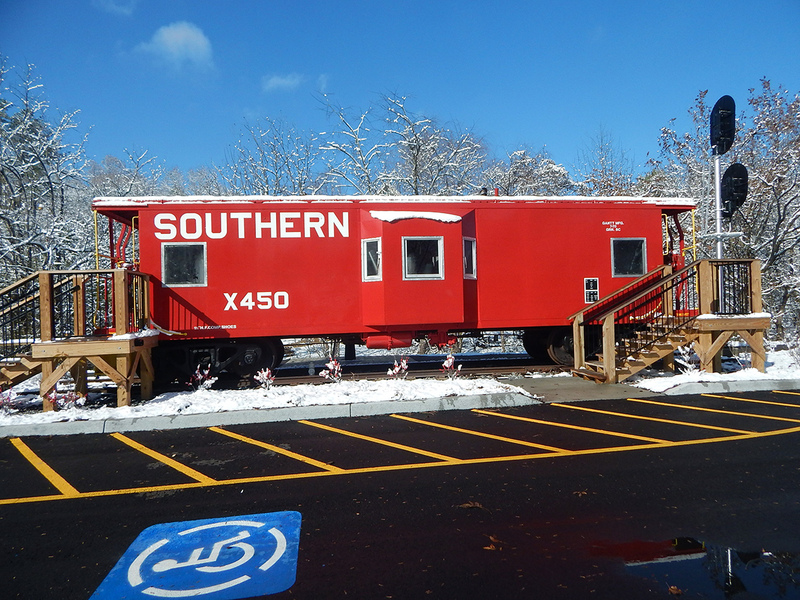 A wonderful addition to the museum site is WVRHS&M's recently-restored SOUTHERN RAILWAY caboose. 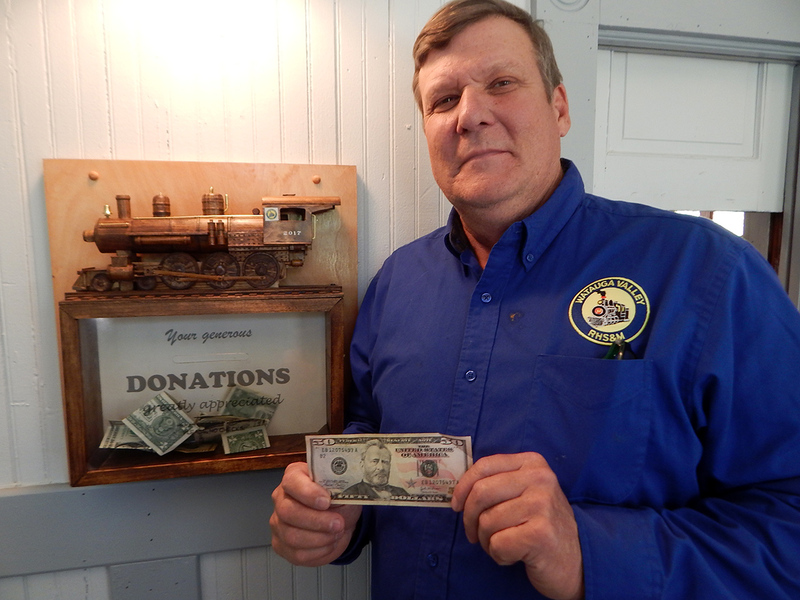 WVRHS&M has more than 70 member-volunteers who host at the depot which is open five days a week. 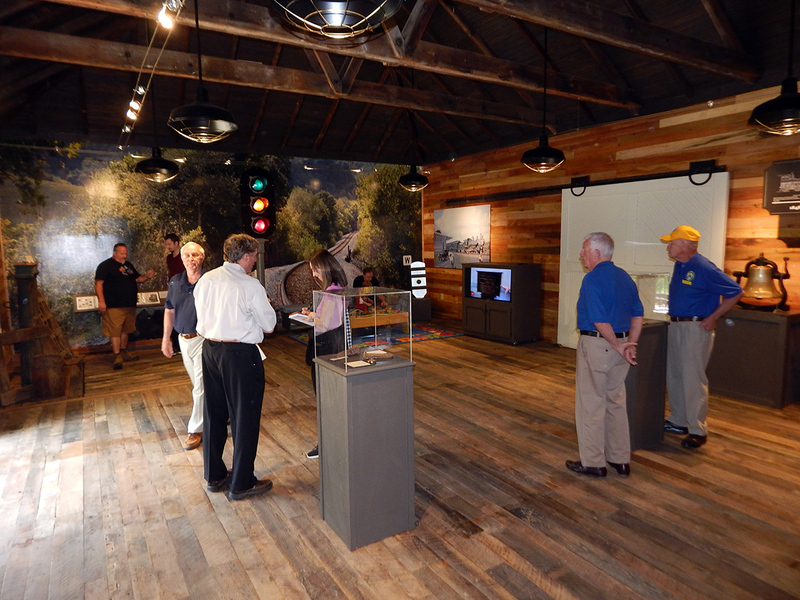 The museum maintains themed exhibits which change every six months. 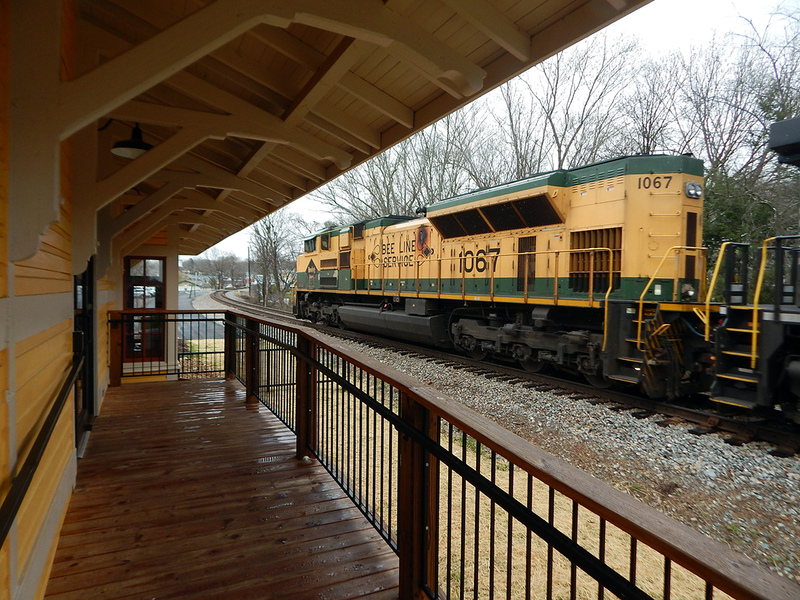 The town of Jonesborough includes the depot in its planned seasonal activities, and the depot and caboose are available for rent for special events. 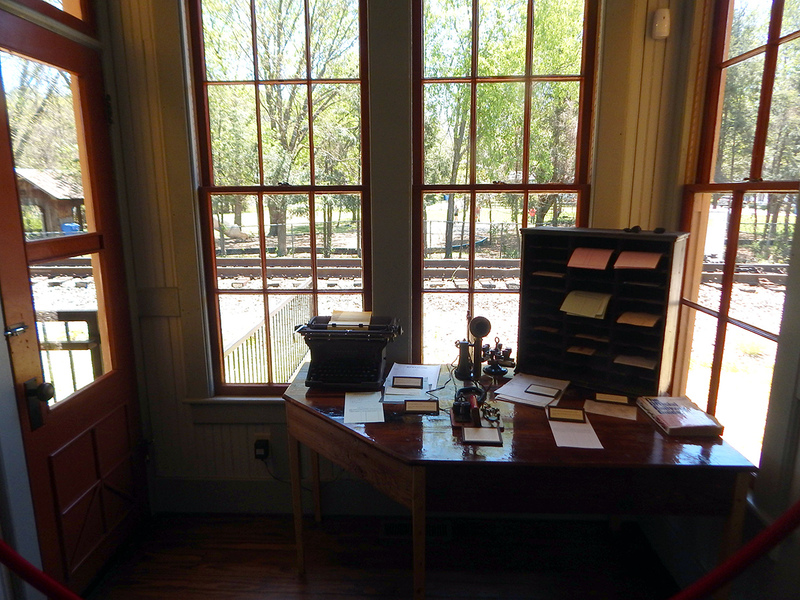 A children's play area with wooden train, working signal light and bell are also found in the Depot. 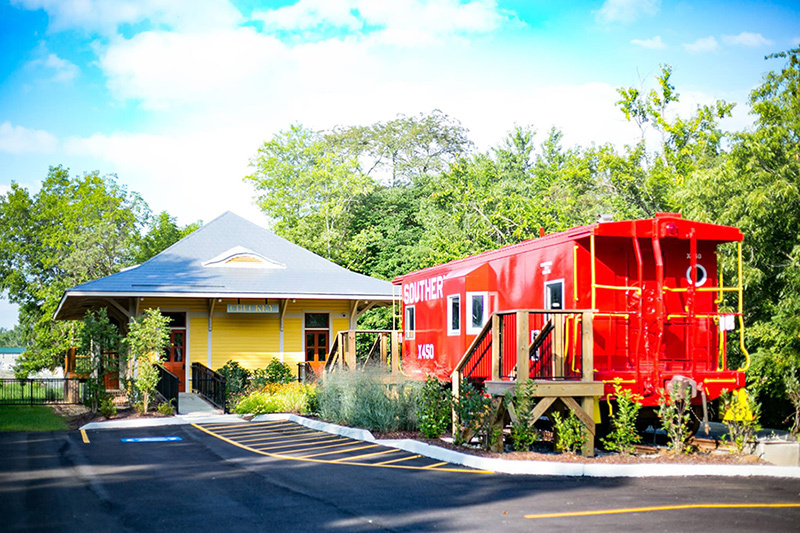 The station is located at 208 South 2nd Street at the 2nd Street railroad crossing in Historic Jonesborough (see map below). Parking and admission are free, but donations are gratefully welcomed. 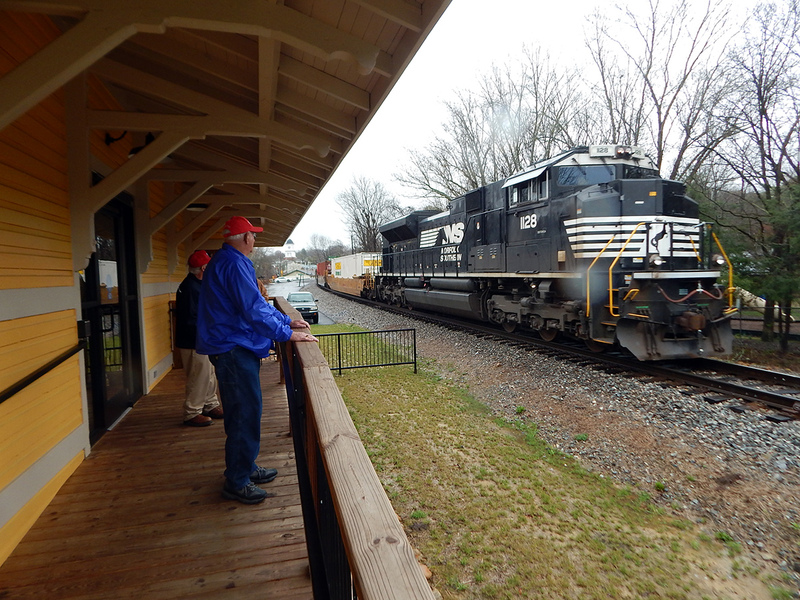 For information about the museum or if you have railroad items that you would like considered for display in the museum, please call the WVRHS&M office at 423-753-5797. Thursday - Friday: 1:00 p.m. to 5:00 p.m.
Sunday - Monday: 1:00 p.m. to 5:00 p.m.